The Rain Can’t Stop Us From Fighting For Philly Students! 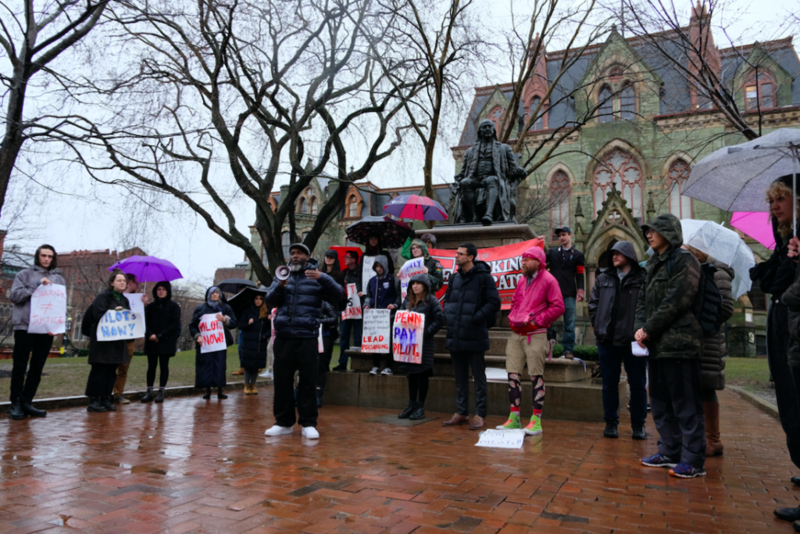 On Thursday March 21st, we gathered with Penn students, Penn alumni, public school students, public school teachers, and West Philly community members in front of the University’s College Hall to hear stories from those affected by the School District’s lack of funding and demand that Penn begin negotiations with the City of Philadelphia to make Payments In Lieu of Taxes. 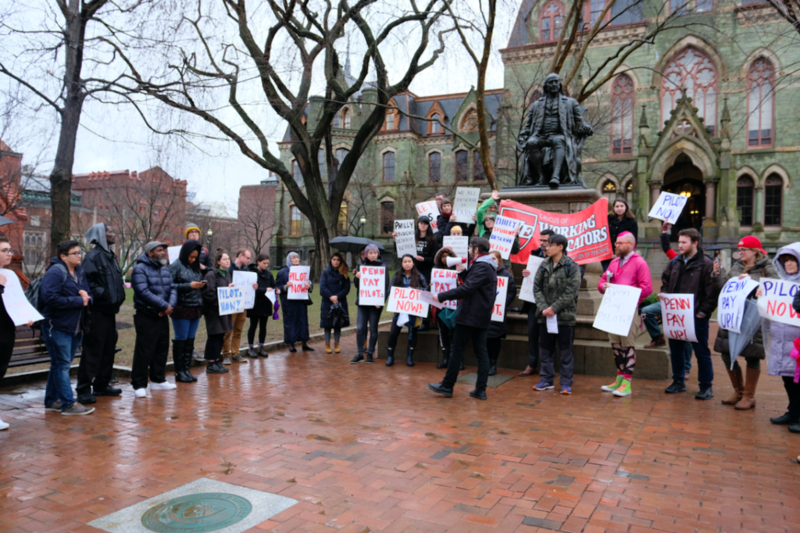 Despite an almost $14 billion endowment and a consolidated operating budget that rivals the entire City of Philadelphia, Penn doesn’t pay taxes on billions of dollars in property holdings. This is true even though Penn and other “mega-nonprofits” do not meet the criteria for tax exemption put forth by the Pennsylvania Supreme Court in 2012. 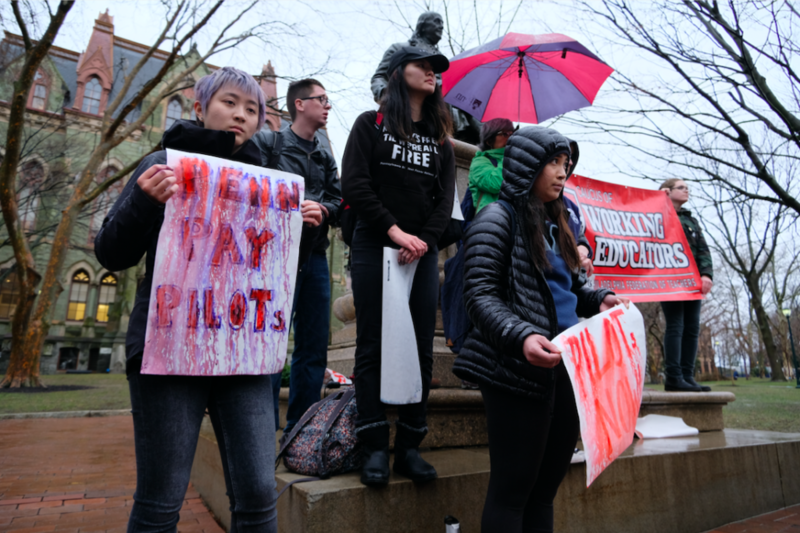 Penn is the largest private landowner in the entire city and public school students are losing millions of dollars a year in funding as a result. Previous PostPrevious Stand with Philadelphia’s Domestic Workers!